El País has an article today that makes the DiploCAT public-private consortium look all 'cloaks and daggers'. But DiploCAT's position paper has been circulating openly and freely via email for a while. I hear they're putting the finishing touches on their website so they can publish things more directly. Anyways, here's the full document so you can reach your own conclusions. WHY DO CATALANS WANT TO HOLD A REFERENDUM ON THEIR FUTURE? This note aims to explain why Catalans want to vote. However, a simple list of grievances would not capture the spirit of optimism, tolerance and modernization which is at the heart of the move to independence. For a long time, many Catalans would have been happy for Catalonia to be a region in Spain with a status similar to that of one of the Länder within Germany. But that never happened. Strong opposition within Spain means that devolution has always been half-hearted, chaotic and ineffective. And now Spain is being re-centralized and multiculturalism has been rejected. This has led to a huge shift in public opinion in Catalonia. Many people no longer recognize Spain as the tolerant and inclusive country which they hoped would be built after Franco. They want to hold a referendum so that they can choose their future freely, peacefully and democratically. After 35 years trying to fit Catalonia into Spain in a politically comfortable way, there is a common feeling among most Catalan citizens that any negotiation is becoming impossible. Public opinion in Spain seems to favour uniformity and centralization, so neither of the two main political parties is prepared to take meaningful steps to save devolution. Both now say that a referendum on Catalan independence would be unlawful. But hiding behind a law (which could easily be changed) provides no solution to the problem. Even worse, it means that finally Spain must choose between maintaining its new democratic values and holding on to Catalonia against the will of its people. Much of the Spanish Establishment has always opposed devolution, so it has been a difficult and half-hearted process. The resulting system is chaotic, with no clear rules on who does what. The process of devolution is so slow and complicated that several powers included in the 1979 law on devolution to Catalonia (the “Statute of Autonomy”) have yet to be transferred; as have others included in the 2006 law (the “revised Statute”). Even when powers are transferred, the rules are usually complicated and unclear; and the financial resources needed to make the new powers effective are not made available. Disputes about invasions of powers have become a regular feature of Spanish politics. The failures and inefficiencies of the system are now being used by the Spanish Government to justify recentralization, but in fact the decision to make devolution ineffective was taken many years ago. Following centralization and repression under Franco, the 1978 Constitution aimed to deal with the situation in certain territories – especially Catalonia and the Basque Country – by creating “Autonomous Communities” within an otherwise centralised state. However, the "Autonomous Community" model was extended to the whole of Spain, creating many new regions overnight. By generalizing a system designed to deal with exceptional cases, devolution was made unworkable. With so many new players, strong bilateral relations between centre and regions (such as those found in the UK) could not develop, but no moves were made to create the structures for coordination among multiple regions which exist in federal states. Moreover, Central Government could justify its reluctance to devolve powers because it now had to consider what would happen if a particular power were devolved throughout Spain, not just to a single region. The “Autonomous Community” model became unable to deal with the very problem which it had been created to solve. Last but not least, unlike most federal countries, Spain does not count with a bicameral system where territorial entities can effectively participate in the national decision-making process. The Spanish Senate, which is supposed to represent the 17 “Autonomous Communities” as well as two Northern-African “Autonomous Cities”, appears to be a mere consultative institution. Although all legislative proposals need to be passed by both the Congress and the Senate, in case of disagreement, the Congress can easily impose its stance. Nobody in Catalonia questions the need for solidarity within Spain and within Europe. The problem is that Catalonia pays so much to the poorer regions in Spain that its own education and welfare systems, as well as roads and railways are significantly worse than those in the regions it is helping. The failure of the State to invest in key infrastructure has weakened the Catalan economy. Spanish infrastructure policy has been dictated by political interests rather than economic priorities. For example, Spain has built the largest network of high speed railways in Europe, and is still building new lines even though some have already had to close due to lack of passengers. Huge regional airports have been built which no airline wants to use. And, at the same time, there has been totally inadequate investment in the strategic transport corridor which passes through Catalonia. This corridor is the main freight and passenger connection between Spain and the rest of Europe: it is vital for the Spanish and Catalan economies and has been made a priority by the European Union. Nevertheless, the Spanish Government still wants to construct a new line through the mountains in order to avoid Catalonia, a project which the EU has already rejected as impractical. Reforms in 2006 led to a Spanish law which guarantees a minimum level of state investment in Catalonia, but this has been ignored by successive Spanish governments. The Spanish Government also agreed to publish official figures on fiscal balances (the difference between what regions pay in tax and what they receive in public services and investments). When it did so, the figures confirmed that Catalonia pays much more than its fair share. Every year, Catalonia's fiscal deficit is equivalent to 8.7% of its GDP. Rather than address the problem, the Spanish authorities simply decided not to publish any more figures. So Catalonia, one of the economic motors of Europe, is heavily indebted and struggling to pay for basic public services. Many Spanish politicians, of both left and right parties, consider differences between Catalonia and the rest of Spain not as part of a rich cultural heritage, but as a threat to national unity. A recent speech in Parliament by the Spanish Minister for Education caused much alarm when he talked about the need to "Hispanicize" Catalan school children. Inflammatory comments about Catalonia have become a common part of Spanish politics: whilst they may help win elections, they can hardly be said to promote unity. 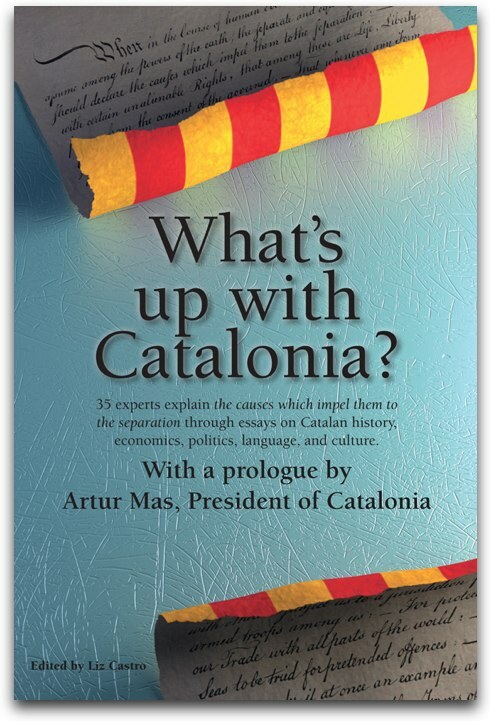 There are 9.1 million Catalan speakers, so it is not a minority language. But again, rather than being embraced as part of the Spanish culture, the use of Catalan is often seen as an attack on Spanishness. Bilingualism in schools is a particular focus of dispute. In Catalonia there is almost universal agreement on the current model of public education because it ensures that all children become fluent in both Spanish and Catalan. However, Spanish newspapers and politicians routinely turn reality on its head by presenting the Catalan education system as divisive and anti-Spanish. They are using the Constitution and the Courts to create a right to be educated in Spanish only. In practice, this would mean the creation of segregated schools and a divided society. The 1978 Constitution was designed to allow flexibility and room for political compromise. But its interpretation has now been taken over by the two main political parties in Spain, which have insisted on taking a very restrictive view of devolution and multiculturalism. Such an interpretation might represent the opinion of a majority in Spain, but by using the Constitution to impose restrictions on a particular minority, they have undermined the consensus upon which the Constitution was built. Many Catalans now question the legitimacy of a Constitution which is controlled exclusively by other people and which is regularly used against them. Some changes, such as permitting a Catalan referendum, could easily be made by interpreting the existing text in a less restrictive manner. But this is impossible in the current political climate. And a major change in the text of the Constitution is impossible for procedural reasons as it would require both chambers of the Spanish Parliament to approve the reform with a ⅔ majority, followed by a General Election, followed by further votes in both chambers and then finally a referendum. The impossibility of reforming the Constitution is important because the present text has become so politicized. The Constitutional Court is no longer seen as a neutral forum for justice. Appointments to the Court are tightly controlled by the two main political parties, and judges are not afraid to get involved directly in political questions. Given that democratic constitutions allow some degree of flexibility, courts in other countries argue that judges should not overturn decisions taken by the elected representatives of the people, unless the wording of the Constitution really cannot be interpreted in a way which permits those decisions. But Spanish Courts believe that there is only one "correct" interpretation of the Constitution, and so are much more ready to replace a democratic decision with their own. By allowing so little margin for democratic processes, the Court appears to be acting politically and puts its own legitimacy into question. This was the case in its 2010 ruling against devolution, when many Catalans failed to see how the Court could so readily overturn a law which had been approved by the Catalan Parliament, by the Spanish Parliament and by a consultation in Catalonia. From a Catalan perspective, devolution has been a story of difficult negotiations and broken promises. However, that has not stopped them from trying to reach agreements. In 2006, Catalonia proposed solutions to improve the quality of devolution. A new “Statute of Autonomy” would define clearly who does what and with what resources, thus ending the constant disputes between Central Government and regions. The Catalan proposal was approved by 89% of the MPs in its Parliament but it was met with anger and hostility in the rest of Spain. The Spanish Prime Minister at the time, Mr Zapatero, went back on his promise of supporting the proposal without changes; and Mr Rajoy, the current Spanish Prime Minister, helped collecting signatures in the street for a petition against it. Boycotts of Catalan-made goods were organized; bishops took sides; and a senior army commander was arrested for recommending a military intervention. Following difficult negotiations, a much more modest reform was approved by the Spanish Parliament, and – despite mixed feelings – this was approved in a Catalan referendum. But then Mr Rajoy’s party presented a challenge in the Constitutional Court. Four years later, the Court annulled key parts of the law and effectively threw devolution into reverse. Parts of the law which remain, such as the rules on the fair distribution of resources within Spain, are simply ignored by the Central Government. Despite these setbacks, a further attempt to negotiate was made in 2012, when the Catalan Parliament proposed a new tax system, the "Fiscal Pact". This would have given Catalonia an autonomous tax system similar to those which already exist in other Autonomous Communities. Although 80% of the MPs in the Catalan Parliament voted for key parts of the proposal, the Spanish Government refused to discuss the matter. Some Catalan politicians still wish to continue negotiations, the aim now being to turn Spain into a federal state. But the Spanish Government has already said that this is unacceptable; and many Catalans now believe that it is not possible to negotiate with Spain, because Spain does not want to negotiate. The movement for self-determination is a peaceful, broad, social movement which does not depend on political parties. Two huge protest marches took place in Barcelona. The first one, in 2010, was attended by around 1 million people; the second, in 2012, by around 1.5 million, making it one of the largest ever to take place in Europe. There have also been many civil society campaigns: despite legal restrictions being applied, 890.000 citizens participated in unofficial consultations held in towns throughout Catalonia. Ever more town halls are passing resolutions in favour of independence: currently 654 have done so (68% of the total). Together, these protests have changed the political landscape in Catalonia. The realignment of politics means that the political situation is not always easy to interpret. Following Catalan elections in November 2012, the Spanish media made much of the fact that the ruling party lost votes and seats. But the key issue was whether a consultation should be held. And with a record level of participation of 70%, parties supporting a consultation (irrespective of whether they would vote for independence or for federal reform) won 74% of the vote. Parties against it won 20%. In March 2013, a resolution calling on the Catalan Government to negotiate with the Spanish Government in order to hold a referendum was supported by 77% of the MPs in the Catalan Parliament. As to support for independence itself, the polls have shown consistent results since last summer. For example, the latest survey by the Catalan agency for public opinion (Centre d’Estudis d’Opinió), published in February 2013, found 54.7% of respondents would vote yes if a consultation were held tomorrow; 20.7% would vote no; 17% would not vote; and the rest were undecided. If such results were reflected in a referendum, then on an 83% turn-out, 66% would vote in favour of independence. Georgetown University Economics professor Clara Ponsatí says the Spanish government is standing in the way of the renewal of her contract as Príncipe d'Asturias Chair because of her views in favor of Catalan independence from Spain. Specifically, she says the Ministry of Education has vetoed her renewal because she participated in a program on Al Jazeera which analyzed the sovereignty process as well as a video called “Stop Espoli” [Stop the plunder”] created by the CatDem Foundation. Ponsatí asked the university to renew her contract last November for an additional year. Generally, the professors who hold her chair position sign on for one year, and then extend it for an additional year. Late last year, however, Ponsatí was called to a meeting in Madrid in which the sponsors at the Endesa Foundation told her that "government level" unease had been expressed, according to a report on 3/24. A few weeks later, the Ministry told the university that it wanted the professors of the Asturias chair to stay for just one year. A spokesperson for the Ministry of Education told El Mundo "Without getting into the details of this particular case, the normal procedures have been followed." They assured that renewals are only made in exceptional cases. "Usually there is an application process for the second year, in which the chair holder can also participate," he added. But Ponsatí says that three of her predecessors were renewed without opposition, and at least one of them only had to express their interest to have the position renewed automatically. "I am sure that my participation [in those two videos] have precipitated this result," Ponsatí told Rac1 this morning. Wikipedia has passed two milestones that position the Catalan edition at the top of the world rankings. It has surpassed 400,000 articles, a remarkable feat given the relative number of Catalan speakers. The promoters of the Catalan edition of the collaborative encyclopedia—called Viquipèdia—believe that it has not been easy to grow while competing with two such prevalent spoken languages as Spanish (975,000 articles) and French (1,350,000 articles). At a moment when Wikipedia is said to be losing editors, the Catalan edition surpassed its record of active users this January. In January, 1,892 people edited the Catalan version of Wikipedia, of which 675 made more than 5 edits, and 82 made more than 100. The previous record was made in December of 2010. It’s also important to point out that this past month, the Catalan Wikipedia, by itself, had 27.9 million page views, that is, on average 11 per second and almost a million each day. Oriol Junqueras: "Rajoy's outstretched hand is a big lie"
Jordi Basté interviewed Oriol Junqueras, the president of ERC [Catalan Republican Left] and leader of the opposition in the Catalan Parliament this morning on his radio show, El Món a RAC1 (The World on RAC1). They kindly made the transcript available, and gave me permission to translate it into English.